337420 products found in insulation. Your request for insulation revealed a total of 6337420 results. 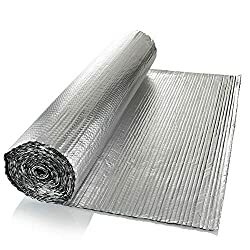 Product Features: Easy to install: simply cut the insulation to the size you need, staple to your wall or floor and seal with tape. 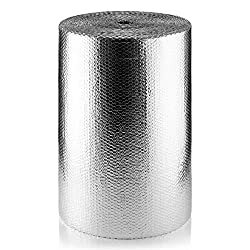 Each roll measures 750mm x 50m., Lightweight & flexible: perfect for adding extra insulation to roofs, walls, floors, Greenhouses and more., Super effective: 2-in-1 vapour control and Insulation layer helps to prevent formation of mould and damp by reducing the risk of condensation., High performance: 3mm thick, foil radiant barrier on the outside with soft bubble on the inside, helps to keep home warm in winter and cool in the summer., Guaranteed quality: our vapour barrier membrane is tested to the highest UK standards. 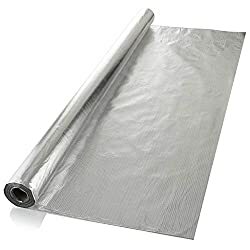 SuperFOIL products are labc, bba & brushed-certified to ensure the best performance., ALL DIY USES: general purpose foil insulation for most DIY household applications such as walls, floors, roofs, motor homes, campervans, caravans, dog kennels, rabbit hutches and more.